We have thus far walked the processes of Behaviour Sculpting and Emotional/Feeling Body creation within our Mind-Physical existence as Characters/Personalities we come to physically live-out and the consequences within this existent relationship within/between our Mind and the Physical. We will in DAY 110 continue with more specifics in the relationship between Energy-Experience and Mind-Evolution within the Physical-Body which will thus conclude the Emotional/Feeling Body Creation process, from where we will continue walking how we create/manifest our Thought Patterns and Internal Conversations/Backchat in where they come from/how they come to manifest/exist in/as our Mind. For the moment, we’re going to walk some Self-Forgiveness and Self-Commitments in having a look at parent-child relationships in our responsibility as parents and children in this world/reality regarding the consequence that exist in our nature/living as human beings and within the consequence, the solution to preparing ourselves within and without for the future of this World/Earth as the children of/as ourselves. I forgive myself that I have accepted and allowed myself to beLIEve that energy/energy-experience, that was existent within me, experienced within me from childhood is the total defining nature of ‘who I am’ in the “experience of me”. Not seeing, realising and understanding that with me “experiencing me” as energy, was in fact me as the mind “experiencing itself” and as long as I exist within/as “experience as energy, existent only within/as the mind as me in separation from/of the physical”: I am not in fact living, not in fact here in REALITY. As the “experience” of me as energy is created/conditioned into, as and from memory-interactions within and as my MIND-REALITY, in separation from/of Physical-Reality, with the “experience of me” existent as reactions to/towards my external world/reality. And as long as I exist as energy from memory/mind, reactive to/towards my external environment/reality: I am not in fact here in actual physical real-time as breath, moving equal and one with/as my world/reality; and so why/how we have become a reactive humanity, reacting to the world from memories in our minds as energy-experiences, and so not living equal and one in physical real-time to develop solutions for ourselves and for all, as we’re too preoccupied reacting / “experiencing OURSELVES” in our own Minds. I commit myself to, with writing, self-forgiveness and self-corrective application – assist and support me, to as I am walking my characters/personalities as all the different selves I have separated me into and as that has become me as the Mind in my relationship to the physical, and simultaneously within this process align me to/as/with the equal and one living of me with and as the physical-body to align me into and as physical real-time living with and as breath, walking each breath in self-awareness of who I am as I become the directive-principle of me in physical living, and no more conditioned/limited to a reactive-being of emotions/feelings that activate from memories in my Mind to “experience only me”. To in/as this process investigate the triggers in my external and internal reality, in what activate REACTIONS, to in this see, realise and understand how/why I REACT, instead of in that moment investigating/changing the REACTION to solution. And in/as this self-responsibility walking of/as me - prepare myself to eventually walk into and as this World/World-System and Humanity, stop reacting to what is here and really see the REALITY of what is here as me and in/as this equality and oneness with and as REALITY: develop/establish and implement SOLUTIONS. As I see, realise and understand that transforming this world from REACTION to SOLUTION starts with the transformation of this relationship within me; as the process of taking responsibility for me as I stop reacting to myself and all, stop the possession of energy-experience separating me from myself, the physical and so my external world/reality and live the solution as me in being/becoming a self-aware directive being that is not subject/enslaved/possessed by my mind internally and world externally, but see through the veil of energy, into reality and so see the solution to me as all. I forgive myself that I haven’t accepted and allowed myself to see, realise and understand why/how my existence as “energy experience” as the Mind in the Physical is a beLIEf, when looking at the nature of beLIEf is accepting and allowing without question, as I had never, from childhood questioned who I am in/as what I experience within myself/my body. As even those that have gone before me as my parents/peers did in no way understand the intricacies/nature/existence of the Mind and Energy and how we as children create the Mind as ourselves, especially – based on what we physically see, hear and EXPERIENCE as how experience as energy is activated, resonated and imprinted into and as our physical-bodies as children within/as/through what we see, hear and sense through and as the physical. And with our parents/peers existing within/as the merged relationship between the mind and physical, what manifest through their very behaviour, sound and physical presentation is resonating the mind/energy expression, and so we as children will architecturally construct ourselves in equal and one image and likeness to/as what we externally observe/see/hear/experience as the mind within the physical. And so what is imprinted into and as the very physical of ourselves as children is the very foundations/blueprints/structures of the mind that we then physically experience and because it’s existent/experienced in our physical, we beLIEve it’s who we are and so we imitate/copy/mould/shape/align ourselves as the mind in the physical without question within the reference of ‘self experience’ as energy/mind. With the parents not seeing, realising and understanding the extent to which their mind-physical existence in behaviour, tonality and resonance of what emanate from/of their entire physical-bodies as the mind: is imprinted into and as the physical of the child that becomes their internal reference for constructing/building/creating ‘who they are’ as a Mind/energy experience. And so, why/how as children we do not/cannot question our existence as the mind-physical relationship, but exist as the consequences of what has been passed on-to us from those that have gone before us, that was/is supposed to have seen children as their mirror in investigating the history of themselves in/as their children that come from/of who they are in their mind-physical existence. But instead blamed the nature of children on everything/everyone else but ourselves, in not seeing, realising and understanding the extent of the parent’s responsibility and the world’s responsibility in what we leave behind for them in developing children in their within and without. I commit myself to show, the extent of responsibility existent in parents and so this World System we accept/allow that we’re birthing children into/as – in the development of who they become/live in their self-existence. That we as those that have gone before them was supposed to LEARN FROM THEM as our mirrors regarding what we’ve accepted and allowed to be/become, what we’ve accepted and allowed the world-system to be/become and so develop solutions to changing/transforming our children into effective living beings in their within and without. Instead, we as the children’s examples are so unconscious/unaware of the totality of our mind-physical relationship, so possessed in our relationship with money, where time = money, instead of time/here = the living/development of life/living. And so children in the totality of who they are, what they go through and experience EVERY SECOND/MILISECOND, every BREATH is in no way seen, realised and understood; beLIEving that we simply automatically became ‘who we are’ in our mind-physical existence, no realisation/awareness of the extent we programmed the mind into the physical from birth throughout our lives; how education, for example plays a minimal/minor role in the develop of the child within WHO THEY ARE as the majority of our development manifest from what we’re exposed to as children from our PARENTS/external world/reality/environment. And so parents simply teach the children the external basics, how to speak, walk, eat, sleep, dress, send them to school ‘hoping’ to make it in this world, with NO understanding of the extent of dynamics that’s existent in the Mind-Physical processes of the development/manifestation of who they are/will become/live as copies/duplicates of the parents/this current World-system, as parents do not even understand the extent and consequences of our own Mind-Physical relationship. And so, because of this – most of humanity struggle/fight in their relationship with themselves as there’s no education existent in what the Mind is/how it works from childhood throughout our lives, as everyone is just prepared/educated to survive in the world of money. 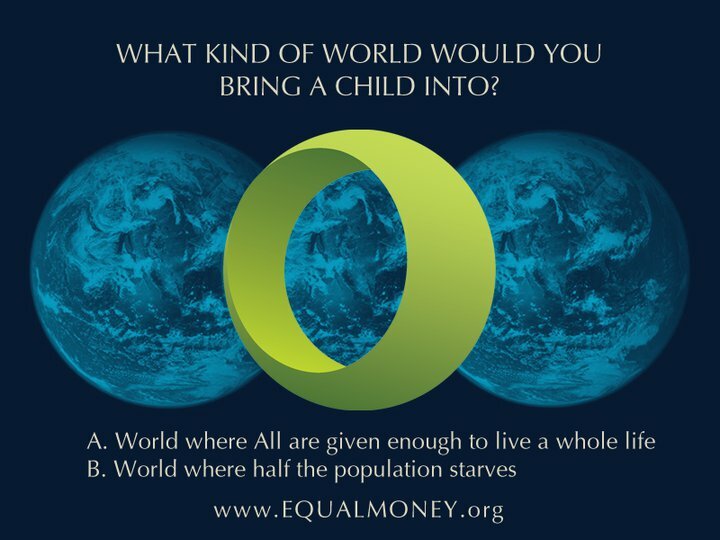 With the majority of humanity not making it in any way whatsoever in this World System, but enslaved to conditions of poverty/suffering/hunger and pain simply because they don’t have an education, to survive to MAKE MONEY. So many countless human beings that can be utilized to contribute to the development of this world/earth for all of humanity and themselves in equality and oneness, but because life/living had been conditioned to money/survival, with no education on self living/contributing to this world/reality – we all, individually/together become insignificant, replaceable in the eyes of the World-System of Money as what we’ve accepted and allowed life/living to be/become limited/confined to/as. In this, I commit myself to show why/how it is thus that so many human beings are becoming possessed/insane in this world/reality as living examples of how little we understand the mind-physical existence. As all the attention has only been tunnel-visioned into money and survival with NO ATTENTION given to children from birth in the development of their mind-physical relationship, how to effectively develop themselves as living beings within who they are/what they live. And so again we come to the equation of the 99% and 1%, all attention is given to the 1% of what we exist as, as money and survival and the 99% of ourselves existent as the MIND is given NO ATTENTION, development, direction, understanding in ANY WAY whatsoever. And so, now we’re coming into a world where children are born into a world-system with NO GUARENTEE of a life/living, with no education on how to stabilize their mind-physical existence when facing a world without money and what to do to survive. And so why/how the Mind simply short-circuit into insanity/possession and human beings are not given the means in themselves in what to do with a life with no money and the pressures/fears etc. that go with it. And then those with money/elite protect themselves from those that go insane/into possession with not knowing how to deal with themselves/life in what manifest in their Minds; instead of us all questioning what the hell is going on and actually GOING BEYOND THE QUESTION and INVESTIGATING within the starting-point of SOLUTION in looking at the mirror of ourselves as humanity, we keep them locked up/locked away; not seeing, realising and understanding our responsibility to/as them in what we’re accepting and allowing as this Money-System, parenting and the examples we set for children in not educating them in the extent to which the mind exist/what is involved in this world of life/living and how to deal with it all effectively. I forgive myself that I haven’t accepted and allowed myself to see, realise and understand the extent to which money-stability = mind-stability within/as most of humanity, in for example parents with their relationship with children, the extent to which who they are in their physical living is because of/due to MONEY, and so the child will align their mind in relationship to money as the parents did, and so presumably have a stable mind/self. But when/as money is taken away – the mind goes into absolute disarray with most human beings not able to cope/survive; cause the mind had not been conditioned/prepared with programmes with regards to how to survive without money and so the being as the mind lose absolute self-definition without its external connection to/as money. In this, the extent to which the mind exist in its relationship to money, as the extent of the consequence of the world we have created, where self-stability only exist within money-stability, where life/living SELF-DEVELOPMENT, SELF HERE should have been the stability, that could be possible within an EQUAL MONEY SYSTEM, which will allow all practical physical needs of all to be taken care of/cared for so that we can really start focusing on OURSELVES, WHO WE ARE, developing LIFE education, cause TIME then is not linked to SURVIVAL/MONEY , but utilized as every breath to develop ourselves individually and together to living beings that in all ways, always contribute to the life/living of all. It is really time for human beings to start waking up to this relationship between the Mind and Money and so see, realise and understand the solution as the Equal Money System and the problem as the current World-System and within this, our individual relationship to ourselves as the Mind; to open our eyes WITIN and WITHOUT and see, realise and understand the extent of problem as the Mind we individually accept and allow and the World-System we individually/collectively accept and allow and accept and allow as a life/living for children in this world/reality. I commit myself to, with the availability of the Desteni I Process, Desteni, the interviews walked within EQAFE and within this Blog, the Equal Money System – to walk the detail of the existence of ourselves as the Mind, the extent of the responsibility of the parents on the development of the child, that the parents should have learned from the children as themselves in seeing, realising and understanding their living examples as children as direct mirrors of themselves and questioned ‘who we are/ what/how we live’ and not blamed anything/anyone else but really looking at self’s direct relationship to, with and as them. And should have really taken the responsibility in/as this world that we leave behind for them, that we humanity should have collectively come-together for the CHILDREN, children that do not discriminate between race, ethnicity, culture, language – all of this is trained/imprinted into/as them by/as/through those that have gone before them, that we should have come-together for ALL CHILDREN in equality and oneness and developed a world for them where they can live in/as that equality and oneness. And so, I commit myself to with/through Desteni I Process, Desteni, the interviews walked within EQAFE and within this Blog, the Equal Money System walk the detail of how we exist as the Mind, walk the detail of our individual and collective responsibility to/as this World-System so that human beings can understand who we are/what we have become, how/why children and humanity as a whole as the nature/living of them reflect as a mirror what we individually and collectively accept and allow as the Mind within and the world-system without. To within this present an opportunity for parents/ parents to be / prospective parents to take within the palm of their hands, the hands of god - their children, this world they leave behind and take the responsibility of preparing themselves and this world into and as children that become living beings, that is secured a certain life from birth to death in/as an Equal Money System. In seeing, realising and understanding that this responsibility starts with SELF and self’s living within and without, to start the process of getting to know the mind, transforming self from mind-living to equal and one physical living and be a LIVING example for the children and so align self/self’s living to contributing to implementing a World-system where their living can/will be absolute. And so, within this – to start the process of LIFE-Education, first with understanding the mind and the world system to understand how it works to in this understanding be able to change ourselves/this world into and as the potential that is here as ourselves individually/together with just changing the starting point and so the living of who we are within ourselves and our relationship to/towards everything/everyone else.